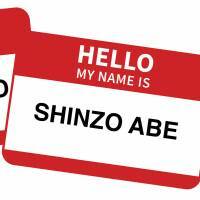 NEW YORK - When did the Japanese start reversing the family-personal name order for Western consumption? Was it when Japan signed the Convention of Peace and Amity with Matthew Calbraith Perry of the U.S. Navy in 1854? After all, the treaty was signed under duress, under ominous “black ships.” But, no, there wasn’t anything like name order reversal. The treaty and related references show that Japanese names were left intact as they were, titles included. I happen to have the first edition of Cmdr. Perry’s report, “Narrative of the Expedition of an American Squadron to the China Seas and Japan,” published in 1857. It cites the chief Japanese negotiator, for example, as “Hayashi Daigaku-no-kami.” Hayashi was the head of the Tokugawa Shogunate’s institution of higher learning, Shoheiko, hence “daigaku-no-kami.” He had a personal name, Fukusai, but in those days, titles had precedence over personal names in Japan. Perry’s entourage knew this and accepted the native custom. Incidentally, Perry’s “narrative” describes Hayashi this way: “He was a man of about fifty-five years of age, was handsomely formed, and had a grave and rather saturnine expression of face, though he had a benevolent look and exceedingly courtly manners.” Hayashi was indeed 53 years old when he signed the document, with a cipher. Was the name order reversal imposed by the Occupation following Japan’s crushing defeat in the Asia-Pacific War, in 1945? Some of the U.S. Occupation personnel are known to have thought of changing the Japanese language itself, not just the political system. In fact, the only language textbook I remember as first or second grader is a copybook of the English alphabet! That was in 1948 or 1949, and my elementary school was on a tiny island in Nagasaki. But I haven’t read any article linking the name order with the Occupation. Besides, some of the prewar books I have suggest that the reversal was the Japanese initiative. Take “Suye Mura,” John F. Embree’s well-known 1939 anthropological study of a village in Kumamoto. It cites Japanese names the Western way, given name first, surname second. After the war, it was academic books like this study that took the lead in giving Japanese names as they are given in Japan, surname first. Most likely, then, the Japanese themselves decided to reverse the name order for Western use. I think of two Meiji figures who may have had some influence in this respect. The context made it clear that Mori had English in mind. For his advocacy of Westernization as typified by this, he was assassinated by an ultranationalist 17 years later when he was minister of education. Yukichi Fukuzawa (1835-1901) was no less an advocate of Westernization. In his 1875 book, “An Outline of the Theory of Civilization,” he ranked countries in three stages of “civilization and enlightenment”: the best, semi-civilized, and barbaric, placing Asian countries such as China and Japan in the second tier. In this schema he was evidently following some European thinkers. Then, in 1885, he wrote an editorial for his own newspaper, “On Getting Out of Asia,” to argue that “civilization” and “progress” were inexorable, declaring that, as long as China and Korea refused to recognize this fact, Japan would “sever its relations” with them. In recent decades this blunt assertion has provoked criticisms, not just in Japan, but also in Korea and China. But Fukuzawa is unlikely to have advocated anything like name reversal so Japan may look more like the United States, Great Britain, et al. Still, it may well have been during the 1880s that the practice began and took root. Or so reported a Japanese magazine that looked into the matter in the early 1990s, as I learned after I started writing this. That was the decade when the Japanese government pushed its second wave of Westernization. It spent an unconscionable sum, for example, to build an Italianate hall designed by the English architect Josiah Conder, the Rokumeikan. Its purpose? So members of the upper crust of Japanese society might dance, play billiards, and otherwise hobnob with foreign VIPs. French cartoonist Bigot, living in Yokohama, had a ball depicting Japanese ladies and gentlemen aping Westerners. It was also in the early 1990s that I noticed Chinese and Korean names in newspapers and magazines here. They began to appear far more frequently, and they all, unlike Japanese names, were given in their native order. The contrast became too conspicuous to ignore. 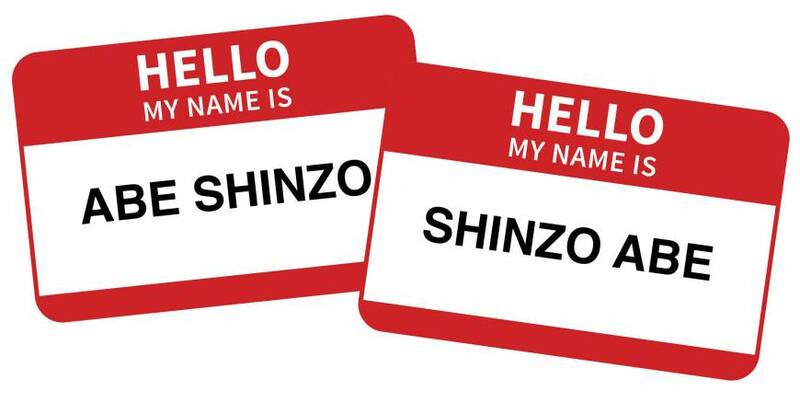 So I wrote The New York Times, The Wall Street Journal, and The New Yorker, suggesting they give Japanese names as they did other Asian names. I included the weekly because their fact-checker used to call me about spellings and phrases whenever they carried an article related to Japan. Only The Wall Street Journal responded, promptly, and said they’d be happy to do so the moment the Japanese Embassy in Washington announced they’d do it. So I knew the Japanese government was behind it, too.